Salon (n.) A periodic gathering of people of social or intellectual distinction. I always wanted to host a salon. I had visions of the Algonquin Round Table and American expatriates in the Paris of the 1920’s. Make no mistake, I’ve had gatherings like that occasionally, with incredibly talented and opinionated friends. But they never happened often enough for my liking. So when I read Kristie West’s blog this week about the second London Death Café, it gave me pause. The concept of the Death Café began in Switzerland, and has spread to London, where Kristie lives. 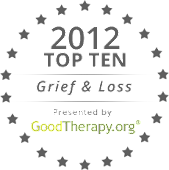 She’s a grief counselor, specializing in helping those who have lost a parent. A Death Café, much like those celebrated salons, is a gathering of people - fortified by food and drink - discussing a topic most avoid: death. Sounds like fun, doesn’t it? Seriously, we could all use a place - even a pop-up café - where we can talk to others about our fears and hopes about death (ours or someone else’s). You may be one of the many whose grief for their friend’s death was dismissed by those around you. They didn’t get it, to put it mildly. The problem was that you had few if any people to talk to about your loss. A Death Café is not a group therapy session. But it is a chance for people to open up on a topic most people would prefer to ignore. If you’re curious about Kristie’s experience at the first two held in London, check out Kristie West. If you’d like to find out more about the whole Death Café phenomenon, follow @DeathCafe on Twitter. Meanwhile, I’m thinking about how to start one here in Chicago. Yes, start one in Chicago Viki! I have the perfect location already! what a brilliant idea.....have just lost a long time friend [34 years] and although I work/ed within palliative care nothing prepares you for the grief that you think you're immune too. I have experienced many 'silly' comments over the last few months and lack of understanding from those that should have known better. Yes, the 'sad' moments do lessen as I work with my grief and I know we all walk round in a grief state...so your cafe idea is wonderful. Like I said, I can't take credit for the idea. But it's certainly an intriguing one. At times - like after 9/11 - people do tend to become reflective and more willing to express emotions and discuss difficult subjects. But that's rare. I'm definitely going to give this some thought.